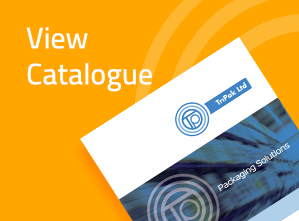 Established in 1980 Tripak Ltd are single sourced suppliers of specialist manufacturing and packaging consumables to industry. Over the last 30 years we have gained a wealth of experience and expertise through providing solutions both across the UK and also world-wide. Tripak is a company characterised by stability combined with adaptivity. Stable in its ambition to always deliver the best customer service, adaptive to changing markets and shifting needs. Our goal at Tripak is to source almost any product from across the globe and supply them to our customers at the best possible prices. Our purchasing team regularly seek out new ground breaking technologies that can help our customers improve their production whilst maximising their profits. We offer products from many of the worlds premier manufacturers such as 3M, Intertape, Scapa and Tesa. However we also recognise that in today’s financial climate that cost is a very real factor. Whilst we stock and supply famous brands we are also able to source approved direct equivalents that can often offer higher specifications whilst offering the cost savings our clients desire. We help to develop products that have been engineered specifically for your application; systems that protect your products, streamline your production and improve your profits. Tripak are official distributors of ITW Signode, a leading worldwide manufacturer and distributor of protective packaging systems that apply plastic and steel strapping, we can ensure the highest quality of strapping and USLM lifting solutions tailored to your individual needs.